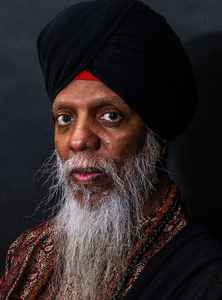 Lonnie Smith (born July 3, 1942, Lackawanna, New York, USA) self-styled as Dr. Lonnie Smith is an American pianist and jazz keyboardist, specializing in the Hammond B3 organ. He tours extensively and has played alongside many of the world's jazz and R&B greats including Dizzy Gillespie, Grover Washington, Jr., Ron Carter, Lou Donaldson, Jimmy McGriff, Jimmy Scott, Frank Foster, Leon Thomas, Willis Jackson, Gladys Knight, Dionne Warwick, Etta James, Esther Phillips, The Impressions and The Coasters and others. It's not easy to not confuse lonny smith with lonny liston smith. Same age, similar genre and style. Same genius too..